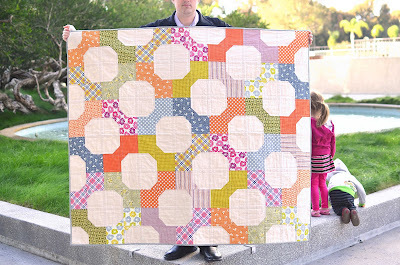 I have to admit, when I first saw this quilt on someone's blog I was not that excited about it. But, after seeing this and this and this and probably a few others, I had a change of heart. My church does a youth auction every year to earn money for camp and other summer activities. 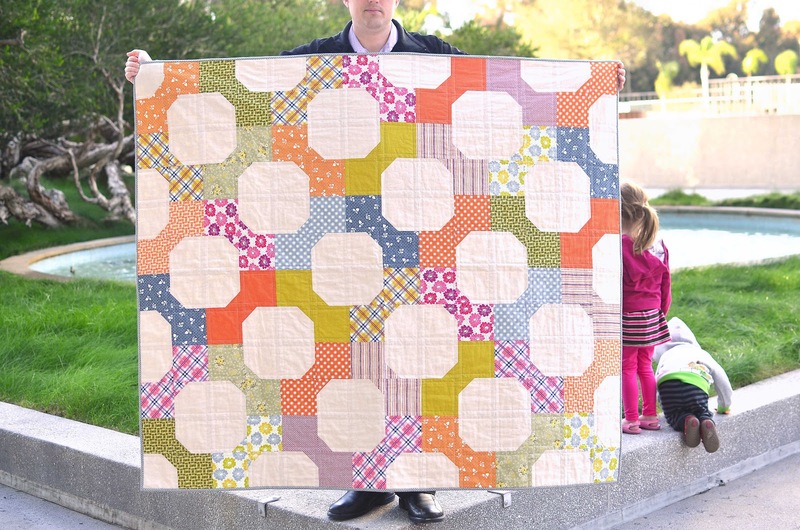 I have never donated anything, but this year I signed up to donate a quilt. 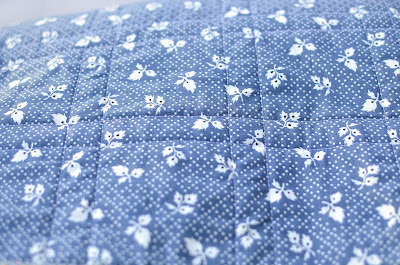 I thought that this pattern and these fabrics would be perfect because they are really beautiful without being crazy. The fabrics are Aunt Edna and Hope Valley by Denyse Schmidt and the solid is Essex linen in natural. My husband has been working crazy hours lately and I knew he wouldn't be home during daylight hours anytime soon, so the quilt went with us to his office this evening when we brought him dinner. He was kind enough to hold it up for me. He was in a hurry to get the photo taken (in case any of his co-workers happened to walk by) so I had to take this quick one on my own. I backed the quilt in this blue print. It's probably my favorite of the whole line because this is one of my favorite colors. 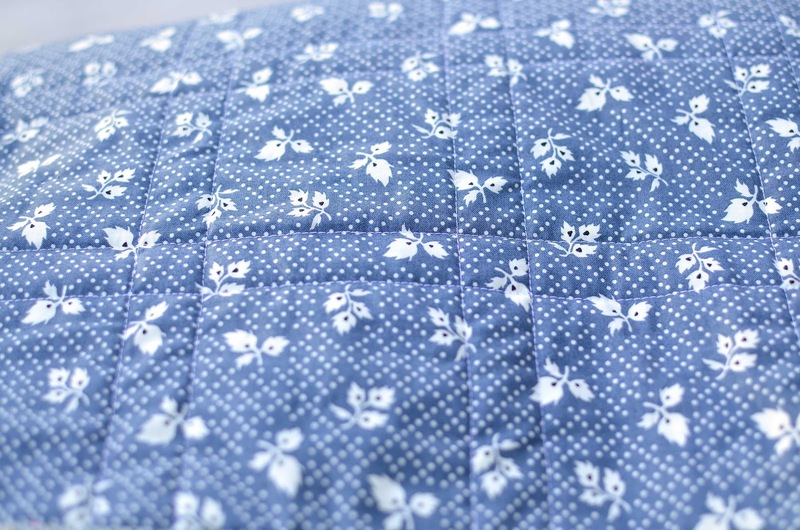 I quilted it with lines on either side of the seams using my presser foot as a guide. what a great quilt! i love the layout and the fabric/color choices. Your quilt is fabulous! I love those two fabric lines and they look so great together. I'm sure it will do well at the auction! It is beautiful, and a kind thing to do - making a quilt for your church to auction.